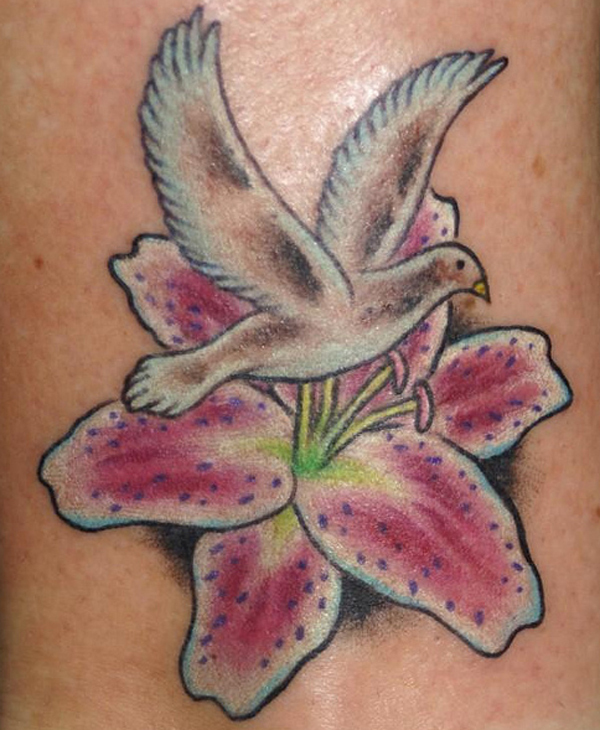 You might be interested in some of our other articles on Butterfly Tattoos, Flower Tattoos and Hummingbird Tattoos. 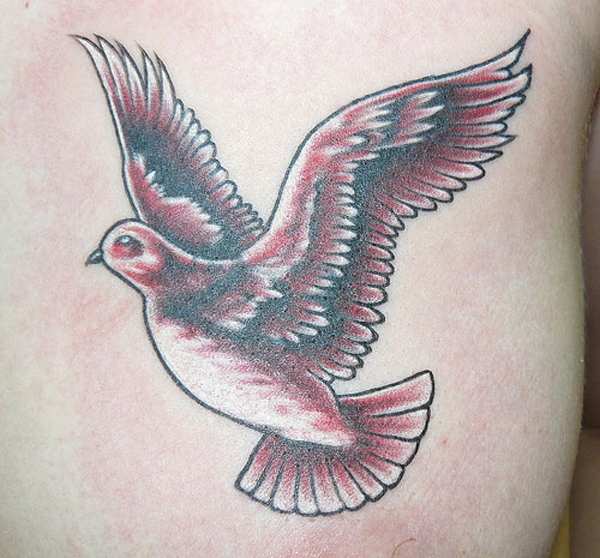 The beauty about tattoos is that they can defy color limitations. 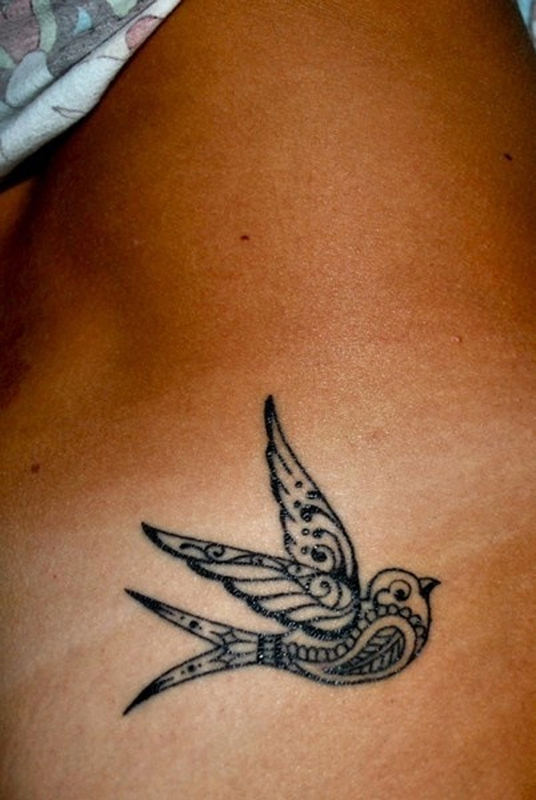 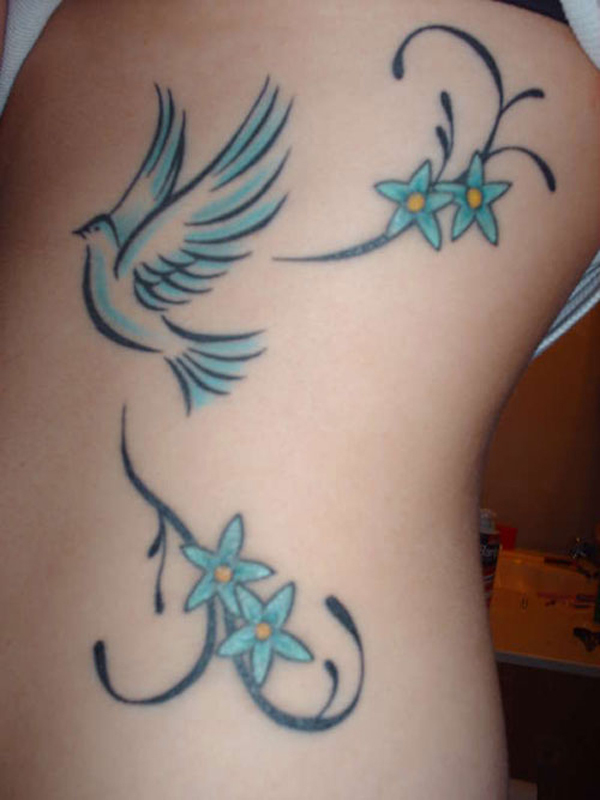 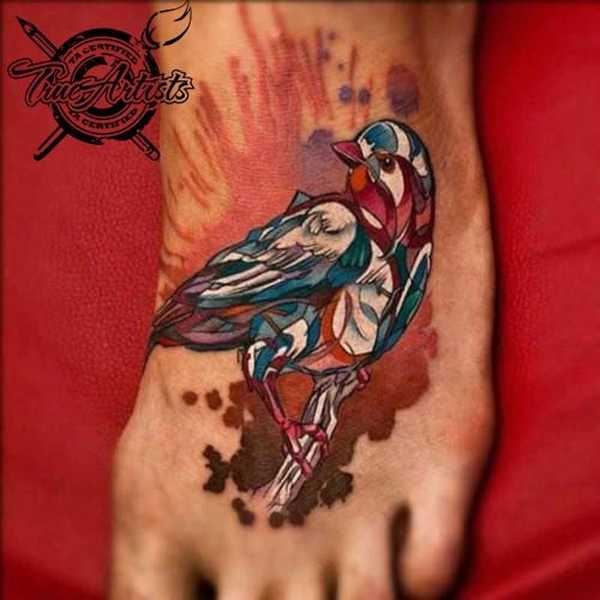 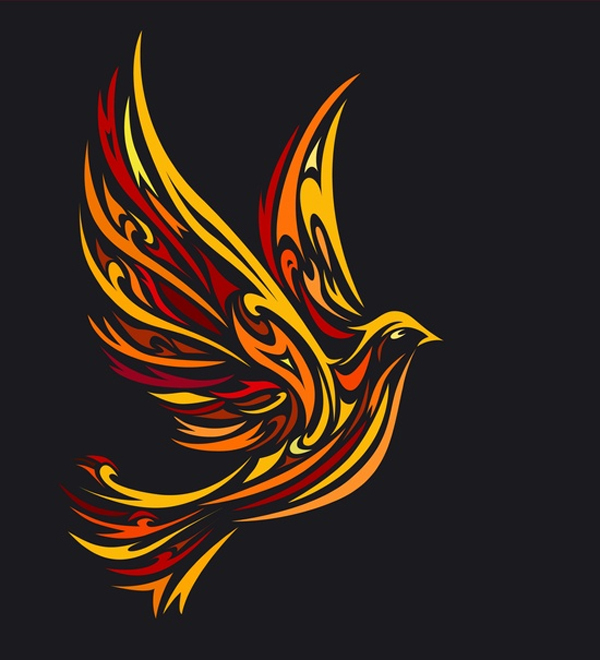 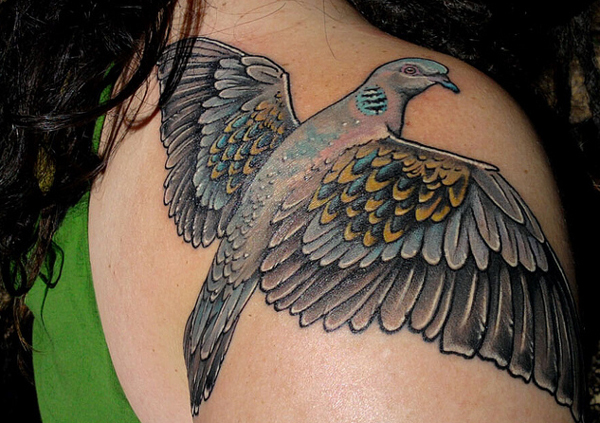 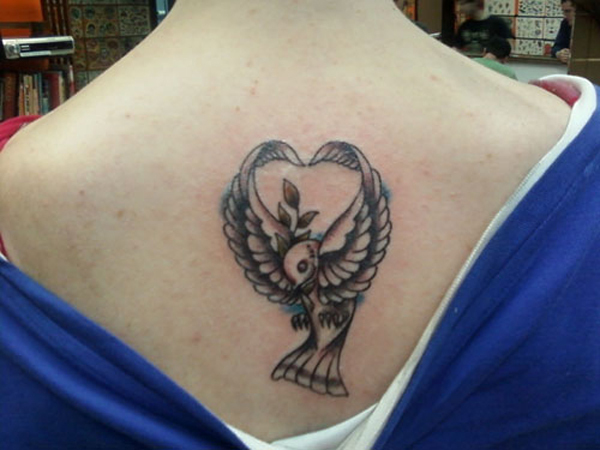 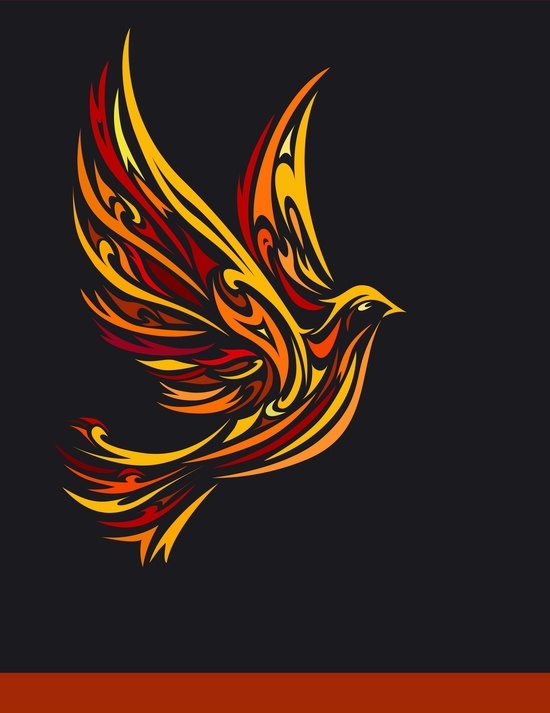 The multi-color dove tattoo for instance, shows a real dove, but with colors. 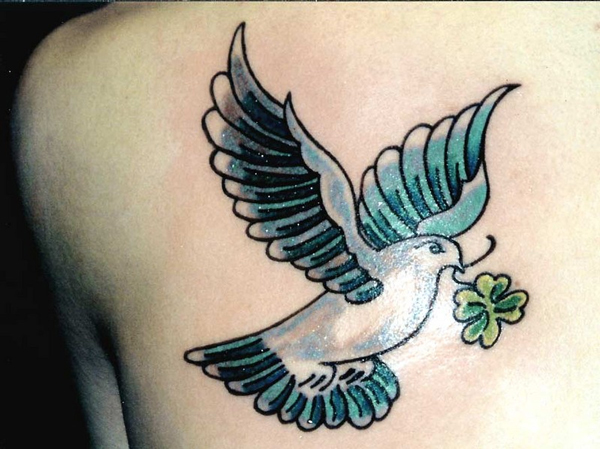 Having love and peace in color is a real treat. 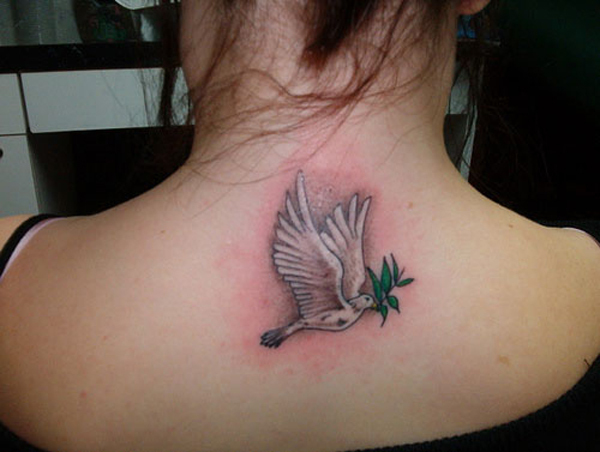 Usually made on the back of the neck, this flying dove is white in color and carries a green olive branch in its beak; making it a symbol of hope. 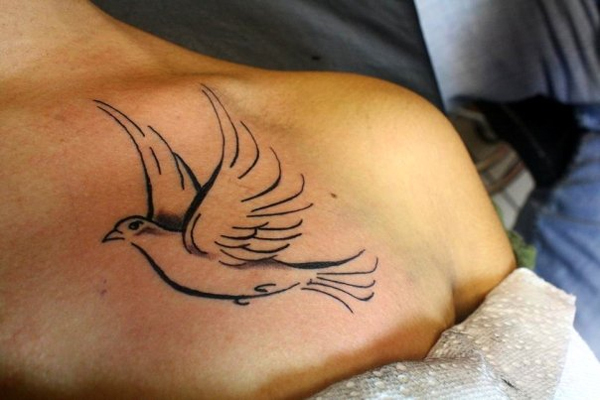 As the dove is symbolic with peace, a dove tattoo on the left side of the chest means the person, at last has found peace at heart. 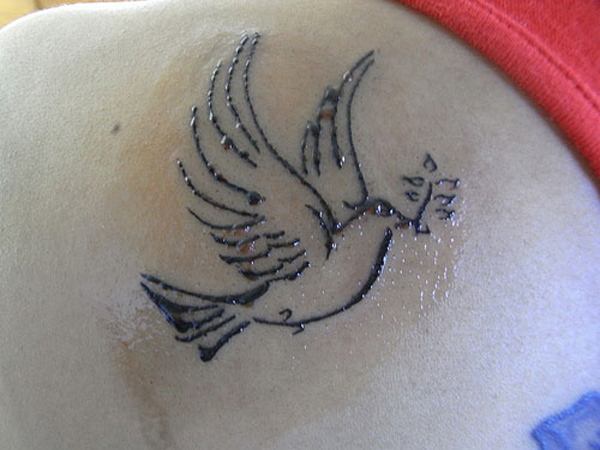 This tattoo, usually done on the upper back, is made glittery to add a touch of shine to peace and love. 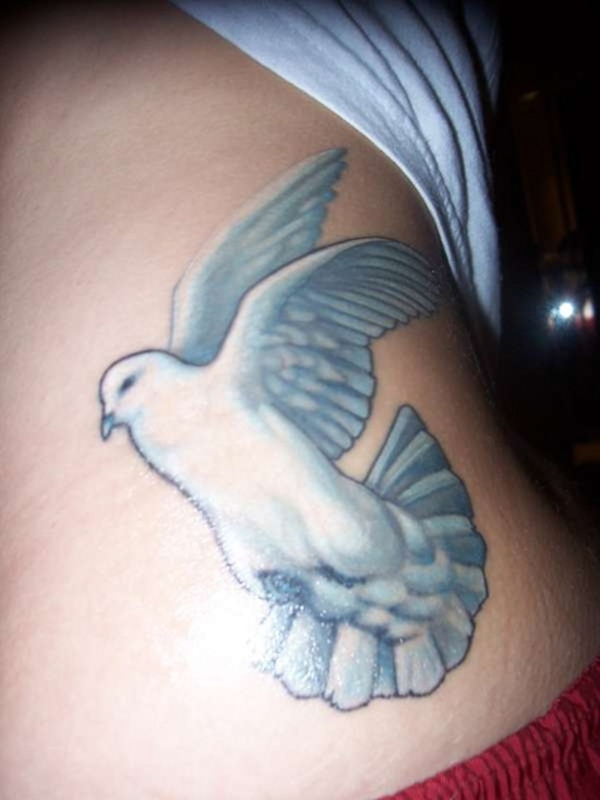 A dove in flight means it carries love, peace and harmony across the world, with no jurisdictions. 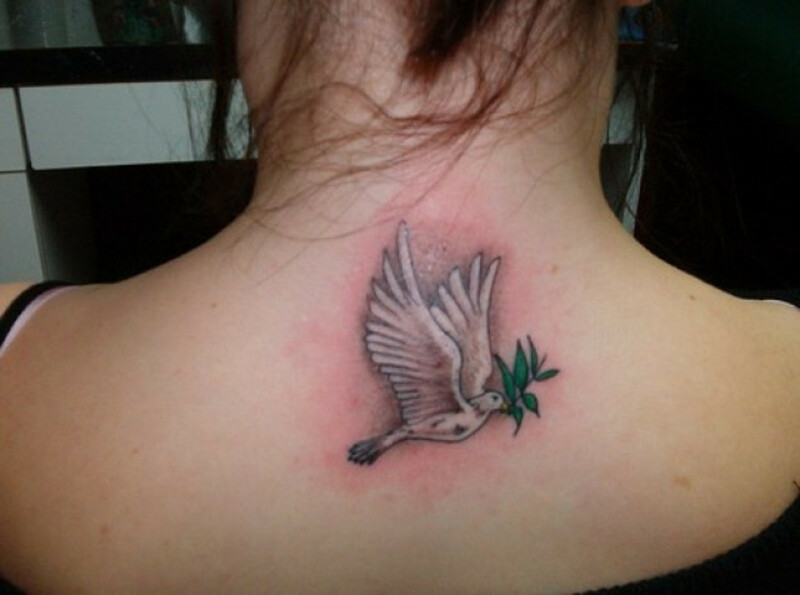 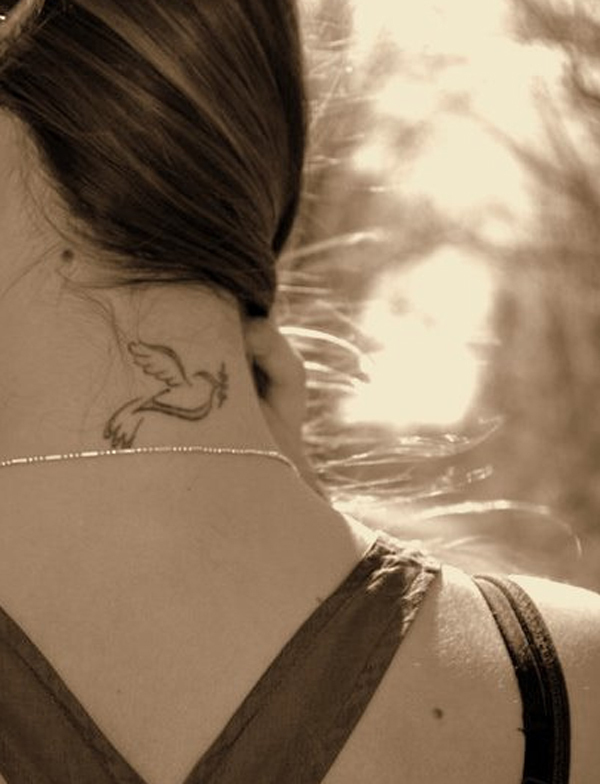 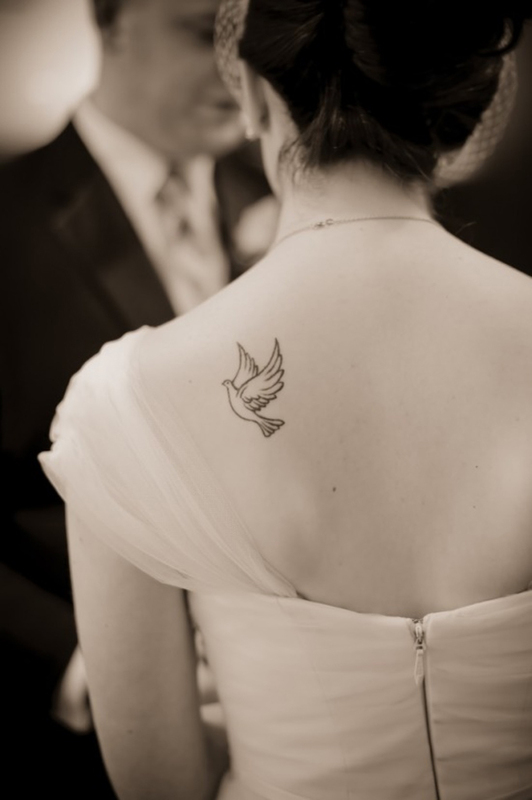 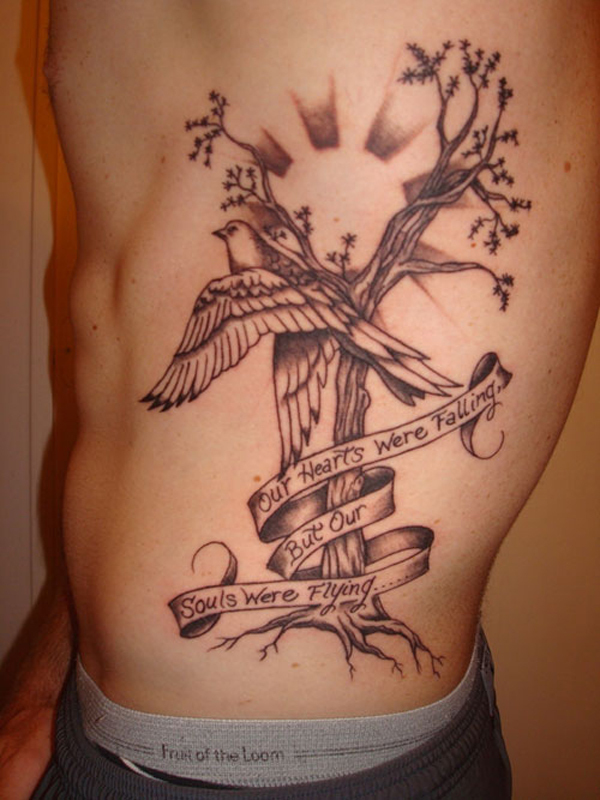 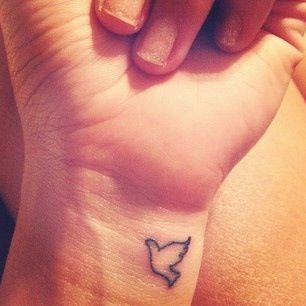 This tattoo shows a dove with the sign of peace on its body, and holds twigs in its beak. 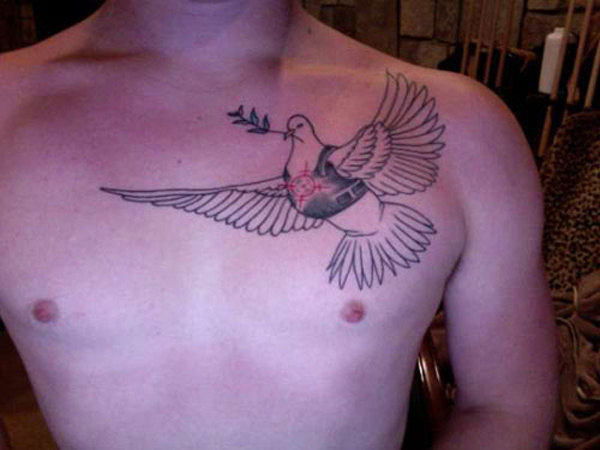 It is a sign of initiating armistice. 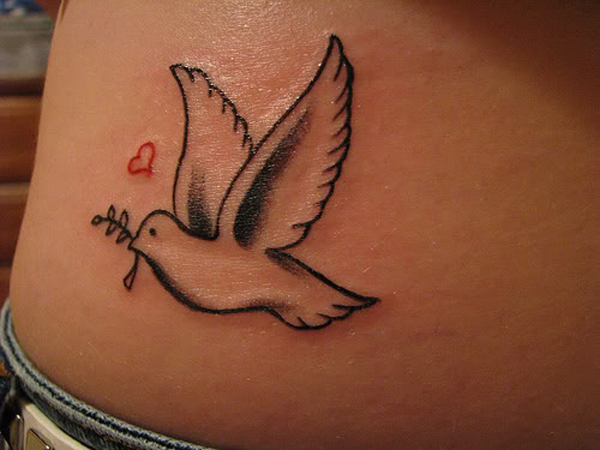 Having heart with dove tattooed on your body means you are responsible for great peace and love in your life. 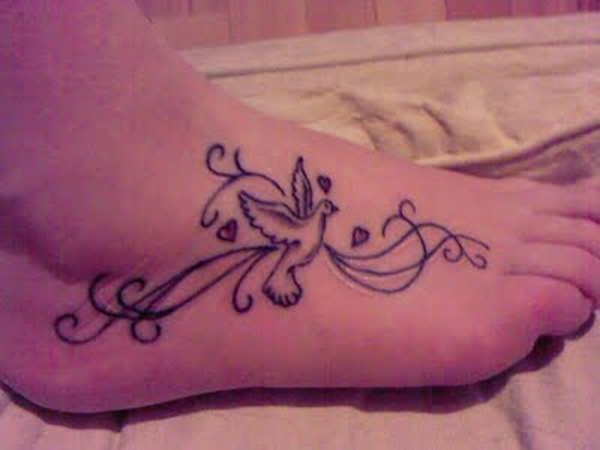 With a beautiful blue dove tattooed on a foot, the message is clear. 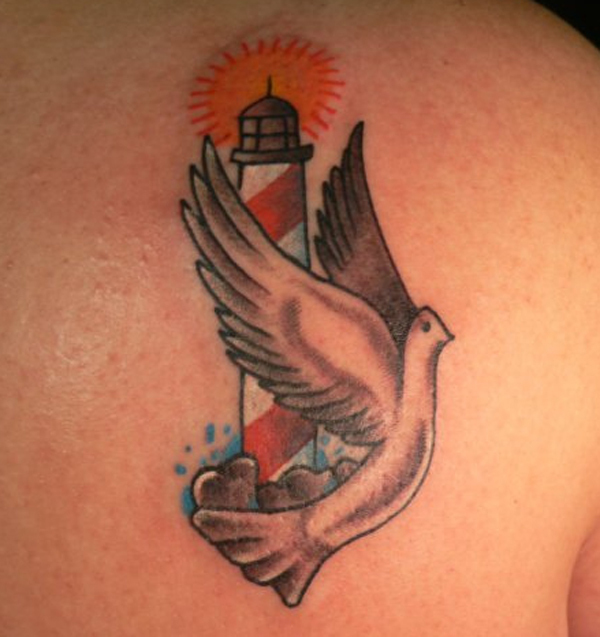 This tattoo, with the doves wings curled together, presents fraternity for the whole world.